The post Renovate Your Kitchen with New Kitchen Units appeared first on Kitchen Blog | Kitchen Design, Style Tips & Ideas | Kitchen Warehouse UK. For many people, the kitchen is the centre of the home. It’s often the main congregation area for social gatherings and offers the perfect hub for couples or families who love to cook and eat together. More and more property designs are doing away with separate spaces and embracing the open plan “kitchen-diner”, bringing the cooking space into sharper focus than ever before whilst avoiding the dated approach of small and boxy isolated rooms with a very limited flow of natural light. The kitchen is no longer a private and antisocial place to prepare food behind closed doors – it’s now a major reception area in and of itself and one in which ergonomic and aesthetic design elements can meet and be enjoyed, admired and utilised to their full potential. So if your kitchen is looking a little out of date, renovating it can completely revolutionise your home. Whether you’re planning to expand your household and so need a little more space, you’ve decided that you’d like to socialise and play host more, or you simply wish to raise the value of your property, changing up your kitchen is a highly effective approach that can lead to some fantastic results – many of which are actually surprisingly simple to achieve. Isn’t Doing Up Your Kitchen Expensive? Many people put off doing any renovation work on their kitchen because of the perceived expense it will involve. It’s true that purchasing a full new kitchen suite can get costly if you don’t know the best places to look – but opting for such an extensive and time-consuming solution isn’t always necessary. If you’re still happy with numerous elements of the space you can, in fact, decide to only replace parts – keeping everything that continues to work for you in place. In some circumstances, this even means that you can adjust the layout of the room and change the entire feel of the design without breaking the bank or disrupting the running of your household to any real extent. One of the simplest and most cost-effective ways to do this is to replace your kitchen units. 11ecause cabinets and cupboards have moving parts – namely, the doors – they are the elements that often display wear and tear the most quickly. The surfaces on top of your units can also become stained, heat damaged or worn through years of use; after all, this is a functional space first and foremost. Often, all it takes to give the room a new lease of life is to replace the elements that look tired and overused, replacing them with something brand new, then give everything else a hearty clean and polish to match. Choosing quality products ensures that your new setup will last for years, saving you any further expense – and if you choose the right things, your kitchen might just end up looking like a completely different, totally up-to-date space as the result of minimal effort. What Can I Achieve with New Units? You have the option to pull out and replace complete kitchen units or just swap out your old unit doors, depending on how your existing items have withstood the test of time. As with almost any interior design project, small touches can make all the difference. A simple change of finish can add a real edge of class and elegance or increase the sense of size, space and light endlessly. Matte units complement an up to the minute minimalist feel perfectly, while the sheen of high gloss units can have a similar effect to a mirror, giving the impression of a considerably larger room. You can opt for features such as soft close doors, curved ends, pull out, corner or carousel mechanisms and many other interesting elements that add both interest and user-friendliness to your kitchen. The best first step is to take stock of the parts of your kitchen that you do not wish to change. After this, you should measure up the space you have available – thinking about minor spatial details such as which way cupboard door will open, and have a frank discussion with the rest of your household about exactly what you need your units to do, and what may end up being superfluous. After this, you should try to decide on a colour scheme. The best idea is to stick to two or three main colours, and it’s best not to mix matte and high gloss. You can decide to pick out focal points by adding a bold splash of colour here and there, or you can opt for a subtle and chic option by utilising subdued tones throughout. Draw up one or two ideas in sketch form, then head out to visit showrooms; it’s always better to see potential units in person, as it’s virtually impossible to get a full impression of the exact colour and finish of each item from a picture alone. 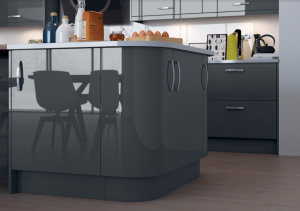 You may be looking for the best quality kitchen units UK based specialists have to offer, but that doesn’t mean you need to pay an arm and a leg for them. The kitchen furnishings at the Kitchen Warehouse are reasonably priced and carefully crafted, meaning they’ll last you for many years without requiring too much maintenance. You can find our showroom at Hutton Moor Farm, Hutton Conyers, Ripon, North Yorkshire, HG4 5LZ, between 9am and 6pm from Monday to Friday, and from 10am to 3.30pm on Saturdays. We’ll always have a friendly and helpful sales assistant available to talk you through your ideas and suggest options if needed.